Welcome to the final part of this A to Z of Inspirational People. If you missed Part 1 including; Albert Einstein, Bill Gates, Charles Darwin, David Attenborough and Guy Kawasaki, please click here. If you missed Part 2 including; Hilary Clinton, J.K. Rowling, Kelly Holmes, Jeff Bezos and Larry Page, please click here. If you missed Part 3 including; Mahatma Gandhi, Martin Luther King Jr, Nelson Mandela, Oprah Winfrey, Richard Branson and Robert Baden-Powell, please click here. I did consider not putting Steve Jobs, the deceased CEO of Apple (as if I need to tell you who he is!) on this A to Z. To some, Jobs’ life has revealed the importance of sticking firmly to one’s vision and goals, no matter what the negative impacts on employees or business associates might be. To others, Jobs serves as a cautionary tale, a man who changed the world but at the price of alienating almost everyone around him. Jobs’ philosophy was to make products that were at the intersection of art and technology, intuitiveness and design. 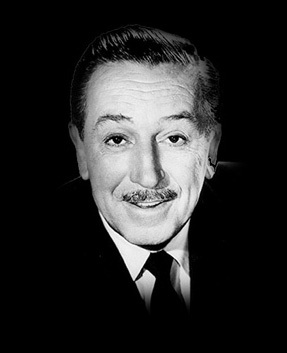 His openness to being inspired allowed him to live his philosophy, and in turn inspire others. Jobs has left an amazing legacy of fantastic achievements and great products and he created the ultimate customer connection that others can only hope to come close to achieving. 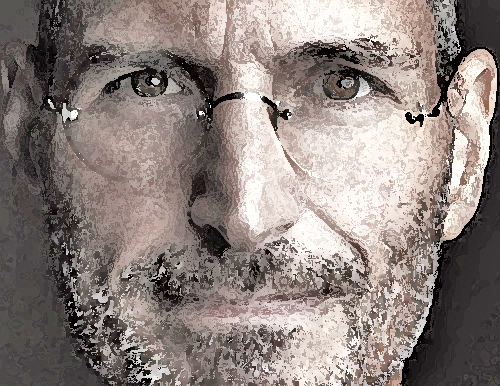 Jobs’ art (that’s what his products are!) and his vision and his success have inspired me. His treatment of people, partners and suppliers, less so. Seth Godin has one of the most-loved marketing blogs on the internet, has penned more than a dozen best-selling books and launched a social site that attracts more than 50 million viewers per month. Yet he makes little effort to cultivate a following, preferring to be discovered virally. Those who do find him stick around for his uncomplicated entrepreneurial mantras, which boil down to this: Make something happen. I’ve read, or more correctly, listened to all of his books and I find his work inspirational. I don’t necessarily agree with everything he says, but he makes me think, he makes me think differently and more importantly he inspires me to act. Arguably the most successful inventor in human history, Thomas Edison held 1,093 U.S. patents, and hundreds more in other nations. His most famous work includes the incandescent light bulb, the phonograph, the alkaline storage battery, and a forerunner of the motion picture projector. The first great invention developed by Edison in Menlo Park was the tin foil phonograph. The first machine that could record and reproduce sound created a sensation and brought Edison international fame. Edison next undertook his greatest challenge, the development of a practical incandescent, electric light. The idea of electric lighting was not new, and a number of people had worked on, and even developed forms of electric lighting. Edison’s eventual achievement was inventing not just an incandescent electric light, but also an electric lighting system that contained all the elements necessary to make the incandescent light practical, safe, and economical. In 1882, the first commercial power station went into operation providing light and power to customers in a one square mile area; the electric age had begun. The success of his electric light brought Edison to new heights of fame and wealth, as electricity spread around the world. By the 1890s, Edison began to manufacture phonographs for both home, and business use. Like the electric light, Edison developed everything needed to have a phonograph work, including records to play, equipment to record the records, and equipment to manufacture the records and the machines. In the process of making the phonograph practical, Edison created the recording industry. While working on the phonograph, Edison began working on a device that, “does for the eye what the phonograph does for the ear”, this was to become motion pictures. Edison first demonstrated motion pictures in 1891, and began commercial production of “movies” two years later. However, many people became interested in this third new industry Edison created, and worked to further improve on Edison’s early motion picture work. There were therefore many contributors to the swift development of motion pictures beyond the early work of Edison. By the late 1890s, a thriving new industry was firmly established, and by 1918 the industry had become so competitive that Edison got out of the movie business all together. 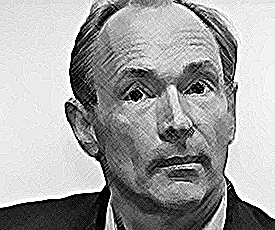 Sir Tim Berners-Lee invented the World Wide Web in 1989 while working as a software engineer at CERN, the large particle physics laboratory near Geneva, Switzerland. With many scientists participating in experiments at ‪CERN and returning to their laboratories around the world, these scientists were eager to exchange data and results but had difficulties doing so. Tim understood this need, and understood the unrealized potential of millions of computers connected together through the Internet. Tim documented what was to become the World Wide Web with the submission of a proposal specifying a set of technologies that would make the Internet truly accessible and useful to people. In April 1993, CERN announced that the World Wide Web technology would be available for anyone to use on a royalty-free basis. Since that time, the Web has changed the world, arguably becoming the most powerful communication medium the world has ever known. The Web has fundamentally altered the way we teach and learn, buy and sell, inform and are informed, agree and disagree, share and collaborate, meet and love, and tackle problems ranging from putting food on our tables to curing cancer. I’ve had the privilege of meeting Tim Berners Lee and listening to one of his speeches, and unsurprisingly he’s a very very bright man. He’s also very unassuming, very charming and passionate about the future. Not at all what I expected from a man who has changed the world. Jamaican sprinter Usain Bolt is arguably the fastest man in the world, winning three gold medals at the 2008 Olympic Games in Beijing, China, and becoming the first man in Olympic history to win both the 100-meter and 200-meter races in record times. Bolt won his fourth Olympic gold medal in the men’s 100-meter race at the 2012 Summer Olympic Games in London, beating rival Yohan Blake, who took silver. Bolt ran the race in 9.63 seconds, a new Olympic record, making him the first man in history to set three world records in a single Olympic Games competition. The win marked Bolt’s second consecutive gold medal in the 100. Bolt went on to compete in the men’s 200, claiming his second consecutive gold medal in that race. He is the first man to win both the 100 and 200 at consecutive Olympic Games, as well as the first man to ever win back-to-back gold medals in double sprints. Winners are always inspirational, but to win so convincingly, with such focus and confidence should be an inspiration to anyone who knows what their dream is! He was the man who stepped up when the British Empire needed him most. He held many positions during his long career and was an accomplished public servant. Churchill entered the Royal Military College of Sandhurst, and graduated with honours. He later saw action in Cuba, India, Egypt, Sudan, the front lines of World War I, and even took part in one of the last British cavalry charges in history. When he turned twenty-five, Churchill was elected to Parliament, and began his career as a statesman in the House of Commons. He went on to serve as First Lord of the Admiralty, Minister of Munitions, Chancellor of the Exchequer, and Prime Minster. In his private life, Winston Churchill was an avid reader and scholar, painter, author, journalist, and war correspondent. 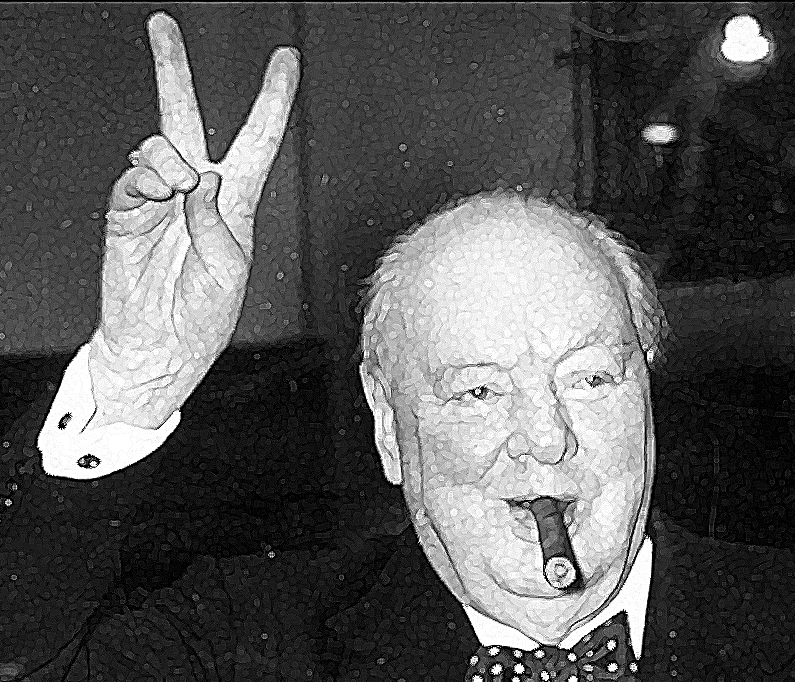 Historians widely attribute Churchill with being “the greatest statesman of the 20th century.” Churchill was an effective leader and statesman because of his tremendous ability to inspire people; his unique strategic insight; his relentless passion; and his imperturbable personality. Churchill’s ability to inspire may be seen in the opening days of World War II. He did not permit a defeatist attitude, nor would he entertain talk of reasonable terms with Adolf Hitler. William Wilberforce was an English politician, from my home town of Kingston upon Hull, who became the voice of the abolition slavery movement in British Parliament. He was fiercely opposed by those making fortunes from the slave trade, who used all kinds of delaying tactics. The first time a bill was introduced to parliament, Wilberforce lost the debate by 163 votes to 88 but he never gave up. A bill to cease the trade was passed by the House of Commons in 1792 – but with the amendment that the ban should be ‘gradual’, which those with an interest in the trade interpreted as ‘never’. On 25th March 1807, the Abolition of the Slave Trade Act abolished the Slave Trade in the British colonies. It was carried by 267 votes. The house rose to its feet and cheered wildly. This was not a vote to abolish slavery as a whole throughout the British Empire, just the trade in enslaved people. William Wilberforce continued to work for the abolition of all slavery within the British Colonies. He joined the ‘Society for Gradual Abolition’ and, when the campaign intensified again in the 1820’s and 30′, he did as much as his failing health would allow. Despite the groundswell of public opinion, Parliament still refused to ban slavery, until parliamentary reform removed many of its supporters. Wilberforce wrote a last petition. The Parliamentary debate lasted three months. On the 26th July, 1833, the Abolition of Slavery bill passed its third reading in the House of Commons and slavery in British colonies would finally be abolished. Just three days later, on 29th July, William Wilberforce died. Just months into Xi Jinping’s tenure as Chinese Communist Party leader, one thing has become eminently clear – in both style and substance, Xi Jinping is different. Xi has cut a more affable and caring figure in his public appearances. These changing optics have been accompanied by new rules that prohibit “empty rhetoric” at official meetings, and bans on floral arrangements, red carpet, or grand receptions during state inspection tours. Netizen reaction has been positive. Some might dismiss this as a trivial shift in personality with little consequence for Chinese governance. But Xi’s innovation is not his charisma per se. He is distinctive in that he is the first Chinese Party head to truly understand that authoritarian politicians have something to learn from their democratic counterparts. Western politicians may get flak for perceptions of pandering or placing electoral viability ahead of common interest, but one thing at which democratic politicians unquestionably do better is connecting and empathizing with ordinary people. Of course it remains to be seen whether Xi will be able to capitalize on his favourable persona. It will require more than popular support to defeat the many entrenched interests that stand in the way of genuine reform. But Xi the politician is off to a promising start, and if he succeeds, he may be only the first of a new generation of Chinese leaders who can speak directly – and compassionately – to the people they govern. Could you or should you be on this list? What have you done and what are you doing to be inspirational? What even makes someone inspirational? 6. Have an unwavering vision and relentless focus in achieving it – I would say that this is common denominator for every single person on this A to Z. Decide what you want to achieve in life and focus every single day on achieving it! 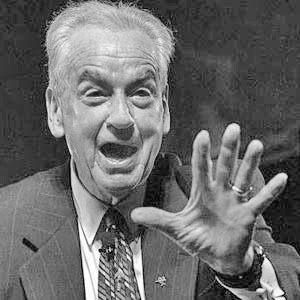 Zig Ziglar, who has died aged 86 in 2012, was an American “motivational philosopher” famous for his “Success Rallies” at which he brought his audiences such gems as, “Failure is a detour, not a dead-end street”; “The person who won’t stand for something will fall for anything” and “The inspiration of today can be drowned out by the traffic jams of tomorrow”. After service in the US Navy towards the end of the Second World War, Ziglar attended the University of South Carolina, but dropped out to work as a door-to-door kitchenware salesman. He struggled to begin with, but one day met a company executive who told him he could be the national sales champion if only he believed in himself and set himself goals. Soon Ziglar began winning sales awards, and eventually he became the company’s youngest divisional supervisor. As he was promoted through the ranks, he began giving motivational talks at church and Rotary Club meetings and later held sales training demonstrations for kitchenware sales teams. In 1968 he moved to Dallas to work as the vice-president of a car accessories company. When the firm went bankrupt two years later he started his own company. Ziglar lived a very devout life; devout to multiple concepts essential to happiness and prosperity. He itemised these concepts, put them into practice, and succeeded with them. Afterwards, he spent the entirety of his life sharing these life changing concepts to the world. He dedicated everything to passing this wisdom on. Ziglar embodied the professional salesman. Many of the people on this A to Z of Inspirational People are western, predominantly from the UK or the USA. I am very conscious of this as only 50% of Think Oak! readers are from these two countries. This is not through prejudice, but just a personal view of people who have inspired me. I would love to hear from people across the globe as to who their inspirations are and why. So, that’s the end of this A to Z of Inspirational People – A long one I know, but hopefully you’ll agree very fitting people for the list. You will, I’m sure, have many other names that you would like to add to your list. I know I have, and much closer to home. People that inspired me as I grew up, at home, at school, at scouts, at university and at work and outside of work and I hope these people know who they are, because I certainly wouldn’t have had the life-experiences that I’ve had without them.